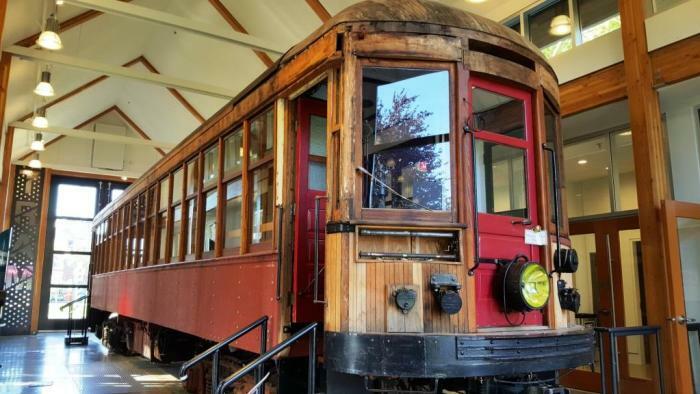 A bustling transit service that trundled locals between Steveston and Vancouver during the first half of the last century, interurban trams were once a common sight in Richmond. 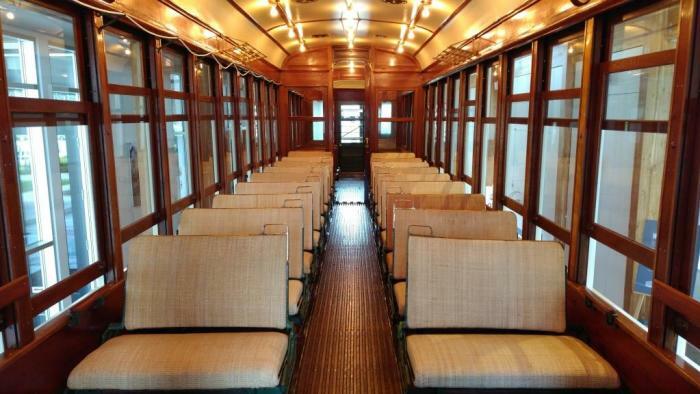 But the red-painted, wood-built cars—constructed in St. Louis, Missouri—seemed old-fashioned by the 1950s, with modern buses and private car-ownership rising to prominence. The last tram rolled along the tracks from Marpole in 1958, before disappearing into the history books of yesteryear transit. That wasn’t the end for Richmond’s clackety old interurbans, though. In the 1990s, Car #1220—which used to run on the old line—was rediscovered in a local warehouse, triggering a long-term project to save and restore it. Now displayed in its own gable-roofed Steveston building, it’s just steps from what used to be the end of the local line. 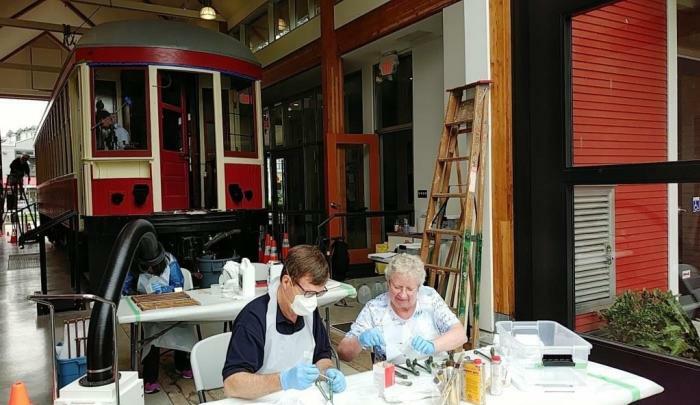 We chatted with Rebecca Forrest—Curator of Collections in the City of Richmond’s Museums & Heritage Services department—about Car #1220 and the detailed, multi-year restoration process that’s inching towards completion. Tourism Richmond (TR): Why is Car #1220 such an important artefact? Rebecca Forrest (RF): It’s part of BC’s transportation history but it’s also a significant symbol of Richmond’s early development. 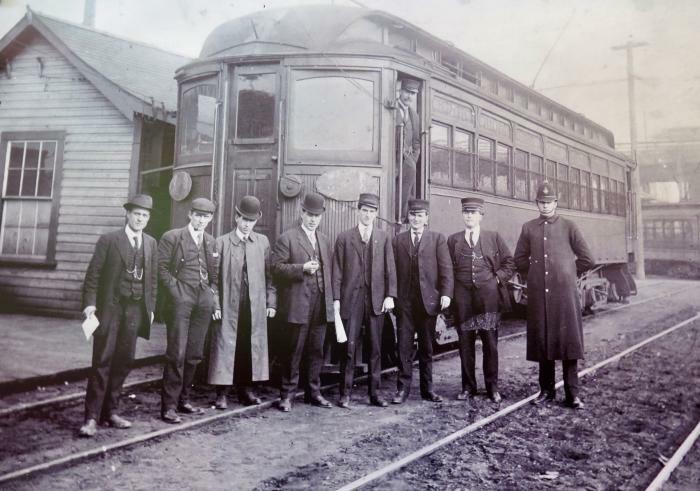 These interurbans connected family and friends to neighbouring cities; provided links for businesses to transport livestock, dairy, canned goods and more in and out of Richmond; and helped locals get to school, shop in Vancouver or take trips to the Richmond Racetracks or Steveston Opera House. TR: What were they like to ride? RF: The trams were a symbol of unprecedented mobility and technological advances: a new fast-paced mode of transport powered by electricity. Passengers enjoyed comfortable vented cars, interior electricity and seats that moved to face the direction you were travelling. The interiors were finished with brass, rattan, leather, wood and glass. The restored interior. | Photo: Museum & Heritage Services, City of Richmond. TR: How was the tram rediscovered and rescued? RF: In 1992, Councillor Harold Steves and City staff found it in a local warehouse. It was in rough shape but it was acquired from the Royal BC Museum (its then owner) before being moved to Steveston. The Steveston Interurban Restoration Society was formed to tackle the project but it remained in storage while a plan was created to house it and make it publicly accessible. 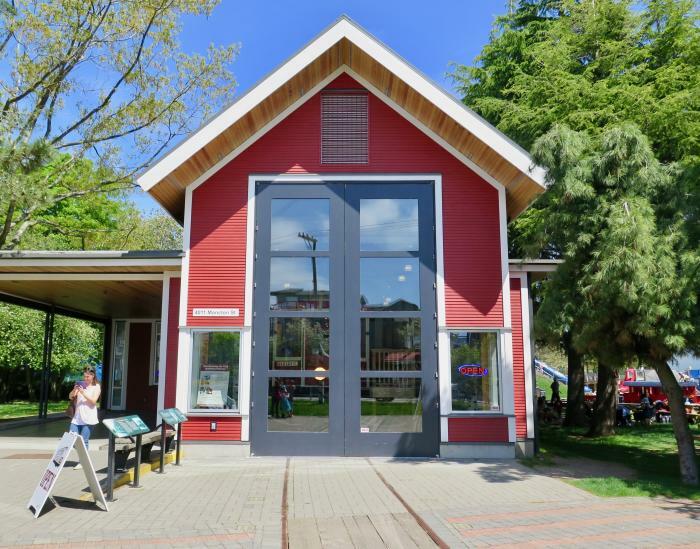 You can now visit it in the Steveston Interurban Tram building, located on the original line in Steveston Park. Restoration is ongoing—visitors can often watch the process—but it should be completed by the end of this year. TR: What have been the challenges of the restoration? RF: It’s being done by a diverse group of dedicated people including volunteers, City trades and specialized contractors who’ve made everything including seats, stair treads, wooden roof components and molds for all the brass parts. But finding contractors with the skills to recreate these parts has been the biggest challenge—skills like upholstery, fabricating brass components and sign painting have been lost over time. TR: What do you most enjoy about this project? RF: The best part has been the positive reaction from visitors. It’s been really important to complete this project in full view of the community so they can see the work and be part of the experience. We hear lots of stories from those who remember riding the trams to school or taking them into Vancouver. I’ve also been fortunate to meet some of the motormen who used to operate the cars. And I love seeing the younger generations visit—they often can’t believe how old #1220 is or that they can actually go on board! TR: Will the tram ever run again? RF: At the moment, #1220 can’t move under its own power, although we do have the capability of winching the car out for events such as Canada Day. However, the City is looking at the feasibility of perhaps running the tram in the future. TR: Are there any particular features people should look out for when they visit? RF: Check out the graffiti in the car, the motorman’s leather seat and also the smoking section and its rules. If you visit on Wednesdays, you can also speak with the restoration volunteers who are on site. 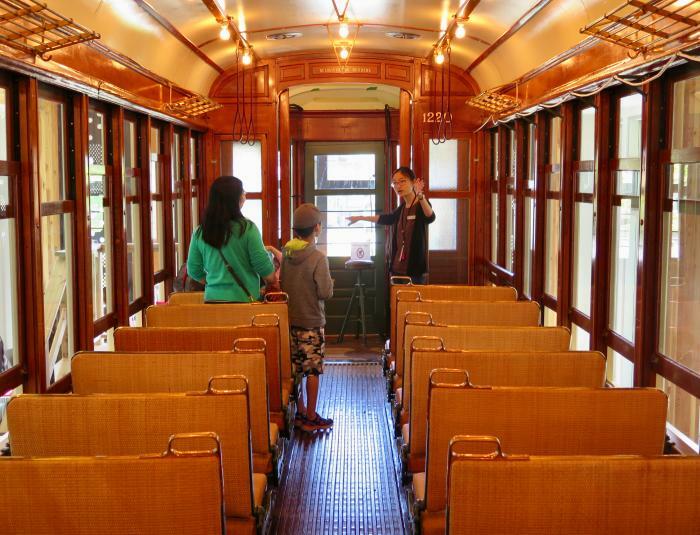 In fact, all the staff are very knowledgeable about the interurban’s history and have many stories to tell. 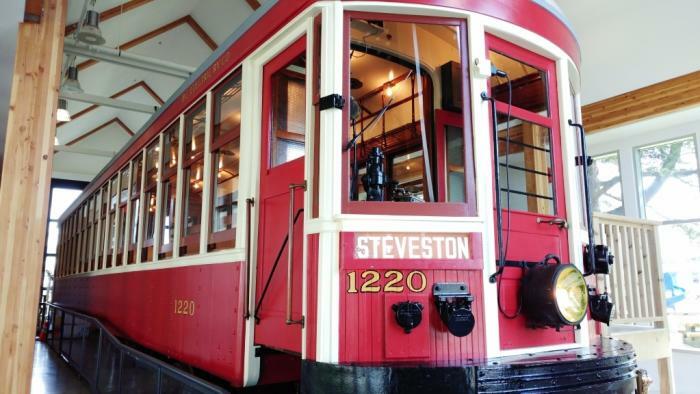 The Steveston Interurban Tram building is located at 4011 Moncton Street in Richmond. It’s open daily from 10am to 5pm from May to October, with reduced hours the rest of the year. Admission is free.